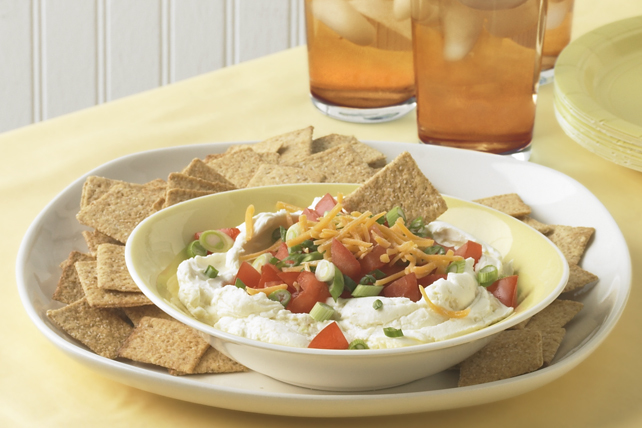 We've combined shredded cheese, cream cheese and fresh vegetables to create an easy dip that is perfect for entertaining. Dip can be prepared on a serving plate instead of in the pie plate. This easy dip, made with better-for-you products, not only tastes great but it can also be part of a healthful eating plan!